Posted on January 17, 2019 at 6:51 pm. Openness and honesty with all stakeholders make for both the best program outcomes and team culture. We, as an organization, must build trust with our program participants by being thoughtful, transparent, and committed to our decisions and promises. Our Denton Campus has recently gone through a few changes and transitions, which has required staff to be flexible and patient. Devon is a Child Care Worker at the campus. He has been recognized for how he has embraced the transition by displaying positive leadership capabilities to his fellow staff. Devon has stepped up to take on additional duties to ensure that the program is fully staffed and running smoothly. 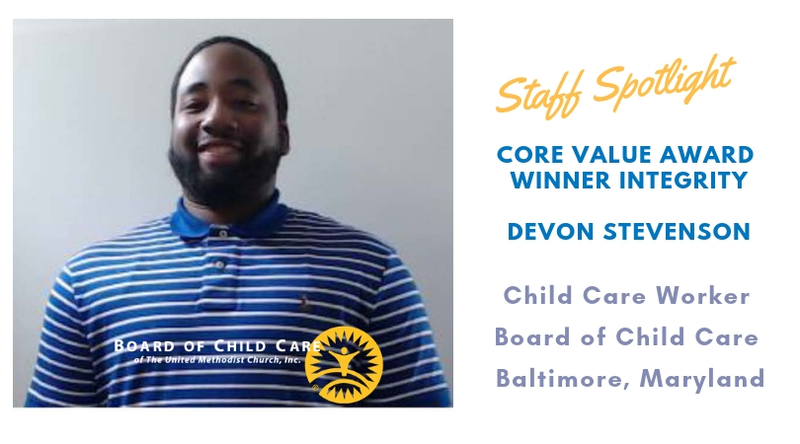 He effortlessly displays a commitment to PBIS and has dedicated his time to help guide our young people and staff in a new direction of positive behavior. Devon, thank you so much for being a role model to your fellow staff and our youth. Congratulations! Posted on May 29, 2018 at 2:19 pm. 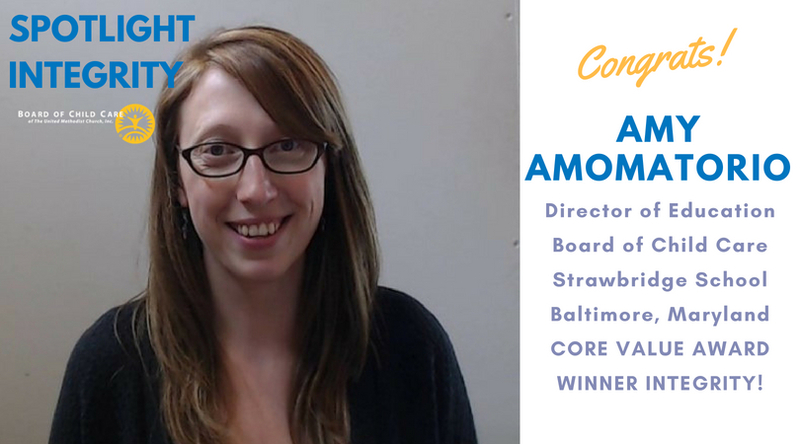 Amy recently was promoted to Director of Education for the Strawbridge school. 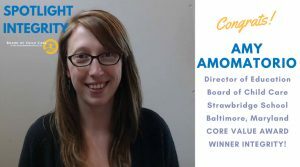 At the time of her promotion, Strawbridge was facing challenges that led to the program being placed on intensive monitoring by the Maryland State Department of Education. Amy has embraced all challenges set before her and has worked diligently to remedy all issues. She has been determined to change the school’s climate, provide guidance to her support staff and actively demonstrate the core values needed to improve the school. She has dedicated evenings and weekends to provide needed documentation for the state as well as providing needed professional development for her staff. Amy has demonstrated openness and honesty with all stakeholders for program outcomes as well as improving the school teams culture. 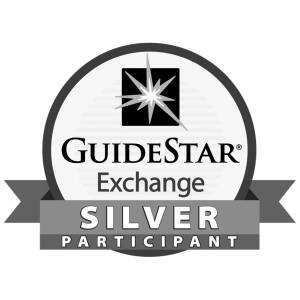 Thank you so much Amy for being so responsive and stepping up to the challenge! Congratulations! Core Value Award Winner: Jessica Weeg! Posted on March 7, 2018 at 5:28 pm. 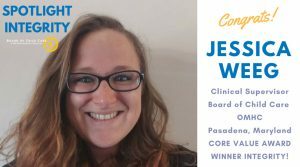 Jessica Weeg is the Clinical Supervisor at our Outpatient Mental Health Center in Pasadena. Due to her clinical focus, her assistance has been needed as we move forward with designing our EHR program. Over the last few months, the review process has greatly increased its need for dedicated time. Jessica has been more than willing to be an integral part of the review process. Even with having a clinic to run and clients to see, she continues to make time to fit in multiple EHR meetings throughout the week and while keeping a positive attitude regardless of how many trials may arise within the process. Jessica has also put in time while at home to review documents to help the EHR team meet deadlines and she continues to offer valuable feedback to ensure the final product will fit the program’s needs. Jessica, I understand that this is a huge project that takes a lot of work. I appreciate your support and contributions in helping move this forward. Congratulations! Congratulations Jessica Weeg! 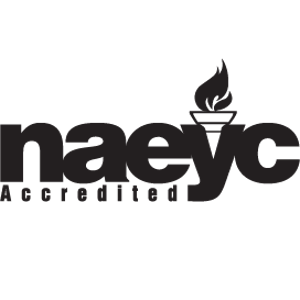 Thank you for being BCC’s exemplary ambassador of our core value: Integrity! Read more from Core Value Award Winner: Jessica Weeg!